Last week, we decided the name of our backpacker's hostel and established our company. This week, we have continued to prepare for starting DIY. Meanwhile, we have come to a strong supporter again from Tokyo. His name is Mr. Kishimoto who studies architecture in a graduate school. This time, we made original sightseeing tour for Mr. Kishimoto. The Photo is taken in the place called "Ishiyama green space". Ishiyama green space is unexplored region of Sapporo. 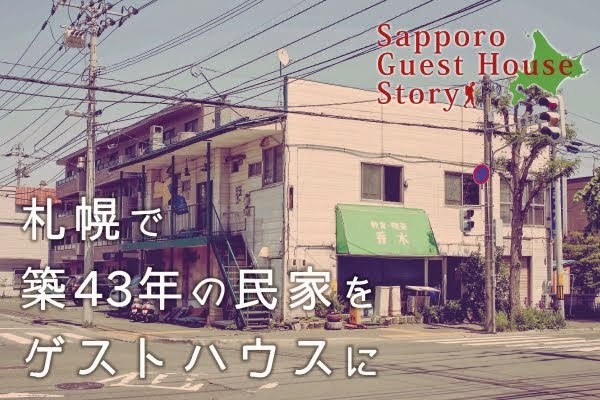 It was ranked first in the first round Sapporo landscape general election of 2014. 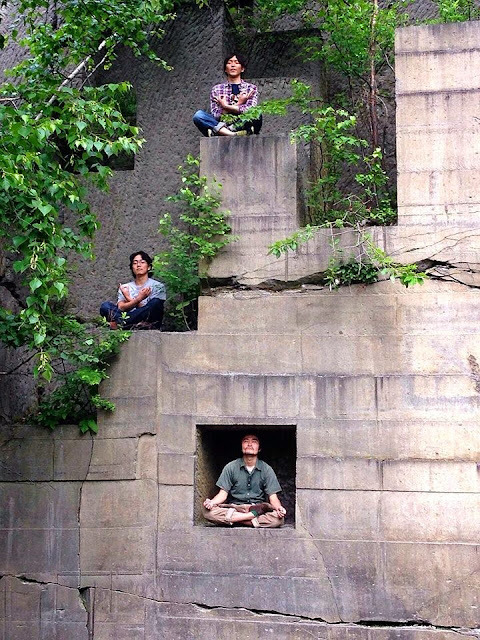 We demonstrated Zen meditation in Ishiyama green space. Really, all three people look good! It was a day that Sapporo has the strength of "food", "nature", and "experience". We are sure that those three of them will attract backpackers. *Ishiyama green space is a stone quarry for Sapporo Nanseki (Soft Stone), which was often used as a building material until the early Showa from the Meiji era. Now, it was designed as a park by famous sculptors.